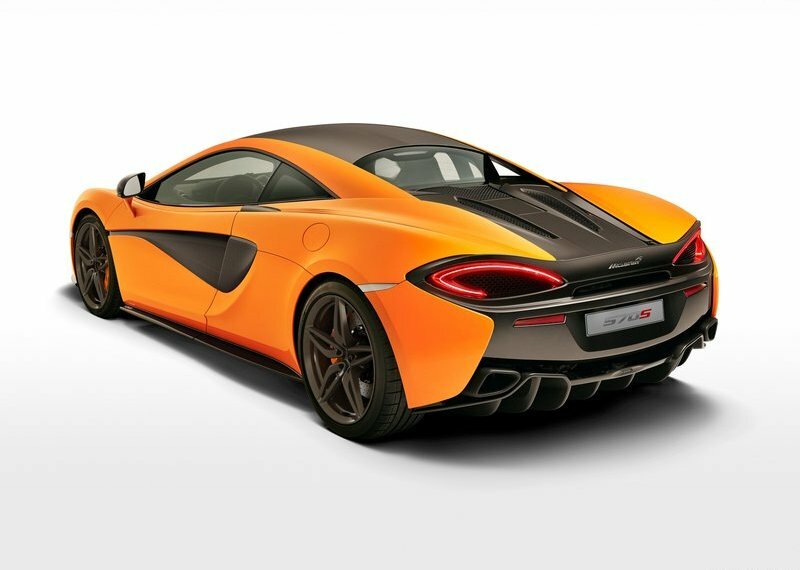 With the global unveiling of the 570S Coupe – the first in the Sports Series family tree, McLaren is all set to take the fight to the Porsche 911. McLaren promises to cater to an audience that will now have access to the brand’s race-derived technologies and design virtues. The car shares a lot of its design cues with its elder sister – the P1 – in keeping with the traditional design language. However, the ‘shrink-wrapped’, aerodynamically-optimised form, which differs slightly in detail, is said to be witnessed for the first time at the upcoming 115th New York International Motor Show. Just one glance at the front-end, and you’re convinced that it’s the family face seen on models in the ‘Super Series’ and ‘Ultimate Series’ range. Details include curving aero blades below the front bumper, dihedral doors, swollen LED headlamps that mimic the pattern of the P1’s, creases on the bonnet, ‘flying buttresses’ at the rear of the tear-drop-shaped glasshouse – and again – P1-esque tail lamps. The all-new carbon fibre MonoCell II chassis has been sketched-out keeping in mind everyday usability, and is said to be taut enough, yet weighing in at less than 80kgs, offering standardised levels of safety. Thanks in part to its light-weight structure and aluminium body panels, it boasts of a dry weight figure of just 1,313kgs. On the inside, the sports seats (racing seats are optional), dashboard and steering wheel are wrapped in leather. There is also a ‘floating’ centre console that boasts of a TFT digital instrument cluster, a 7-inch IRIS touchscreen, incorporated with climate control, Bluetooth connectivity and DAB digital. Customers will also be at liberty to customise the interior in varied hues and materials that match the exterior paint. A 3.8-litre twin-turbo V8 produces 562bhp and 600Nm of torque, with power transmitted via a 7-speed SSG transmission and sends all of it to the rear wheels. Acceleration from 0-100 is dealt with in 3.2 seconds, with a top speed figure of 328kph. All this power is brought to a haul with the aid of carbon-ceramic brakes shod with newly designed forged alloy wheel options with P Zero Corsa tyres. Porsche’s 911 , Mercedes-AMG’s GT and Audi’s new R8 have a new opponent in the ring.